McGowan Island Camp is just one of those spots you fall in love with. Although it is a little exposed to the elements, you’re sitting right there on an absolutely mesmerising beach. This is premium beachfront camping at its best. The campground is nice and flat for campers, and it’s pretty damn hard to be watching the sunset from the comfort of your camp chair. Basic facilities are available, and you’ll want to bring the boat to access the best fishing spots. Don’t forget the crab nets either. Where: McGowan Island Camps is about 20km, or 50 minutes’, drive north of Kalumburu. Renowned as one of the east Kimberley’s best spots, Mambi Island’s free campground is about 70km north of Kununurra and an excellent place to launch a tinnie if you’re so inclined. There’s not much here – in fact it’s little more than a grassy clearing, but its location is top-notch and the scenery is spellbinding. Once here, we’re tipping you’ll find it hard to leave so ample supplies of drinking water, firewood and food are a must. You can bring your pooch along but with saltwater crocodiles ruling the roost here, it’s best to keep Fido away from the water’s edge. Where: Mambi Island is 70km north of Kununurra via parry Creek Road, between Kununurra and Wyndham. Facilities: Toilets and a boat ramp. Explore: Bring your rod, as this is a top fishing spot. There’s also great bird watching at nearby Marlgu Billabong. More info: The best time to visit is from May to September. 4WD vehicles, offroad caravans and camper trailers are recommended. 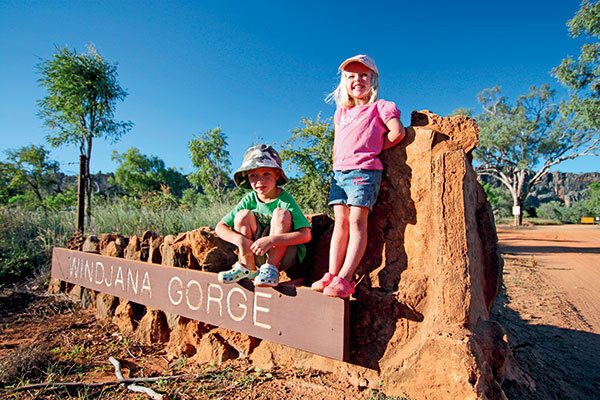 Nestled in the pristine coast of the Dampier Peninsula’s northern tip, Kooljaman is home to some of the Kimberley’s most iconic landscapes. White sand beaches and the red pindan cliffs that surround them are the perfect place to unwind and take in a sunset. On the eastern side of Kooljaman, nothing beats a dip in the crystal clear waters, and there’s an incredible variety of wildlife to keep watch for, from whales to birds to frogs and lizards. 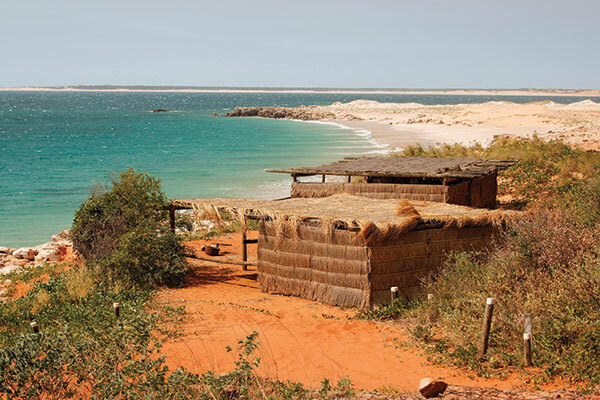 Kooljaman (the Bardi Aboriginal name for Cape Leveque) is owned by the Djarindjin and One Arm Point indigenous communities that live in the surrounds. Their aim for the future here is for Kooljaman to be entirely run by the communities, providing employment opportunities. Their knowledge of the land undoubtedly enhances your stay. There are a number of cultural and sightseeing tours available, or you can simply relax and take in the scenery at your own pace. As for accommodation options, you can choose from powered or unpowered sites. For a truly unique camping opportunity, set up in one of the beachfront shacks. Cook breakfast on an open fire and wander down to the water’s edge for a refreshing dip. Where: Kooljaman is located 220km north of Broome on the northern tip of the Dampier Peninsula. Access is either by air or by 4WD vehicle. If driving, about 90km of the road is unsealed. Facilities: Powered and unpowered campsites are available along with safari tents and ensuite cabins. Explore: Walk along the powdery white beaches, keep watch for whales or head out on one of the many tours available to you. Most travellers never veer off the Gibb River Road, given the incredible range of sights that can be discovered along it. However, if you do venture a couple of hours south off the beaten track, you’ll discover the Mornington Wilderness Sanctuary – and trust us, you’ll be glad you did. 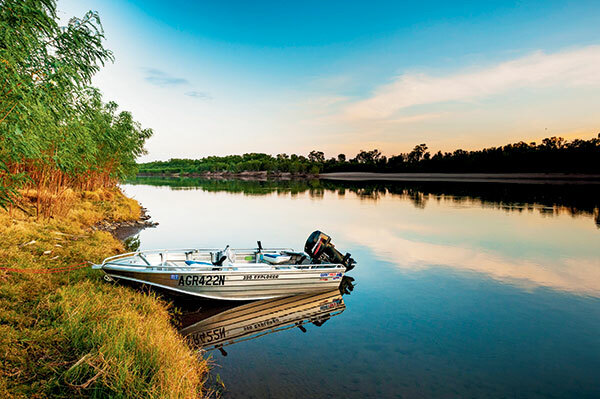 Located in the heart of the Central Kimberley Bioregion, it encompasses nearly a million acres of the upper Fitzroy River catchment along with some sections of the King Leopold Ranges. It’s owned by the Australian Wildlife Conservancy, which carries out a number of projects important to the region’s protection. Where: The turn-off for Mornington Wilderness Sanctuary is at the junction of Mornington and Gibb River roads, 25km east of Imintji store and about 252km east of Derby. The 82km access road is unsealed and suitable for 4WD and offroad vans and trailers. Facilities: Choose from shady unpowered campsites or safari tents. Basic supplies like water and diesel are available at Imintji store or at Mt Barnett Roadhouse. At Mornington water is available as well as a licensed restaurant and bar. Toilets and showers area available. 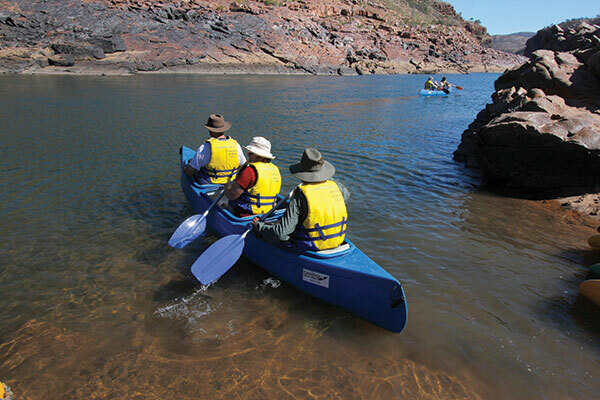 Explore: There’s plenty of options for self-guided drives, birdwatching, bushwalking, swimming and AWC conservation programs and tours.